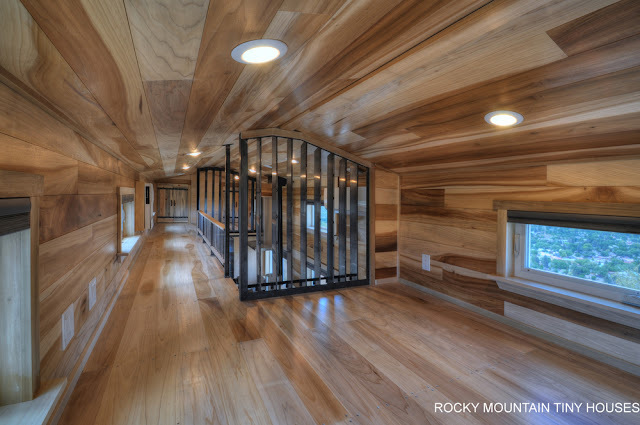 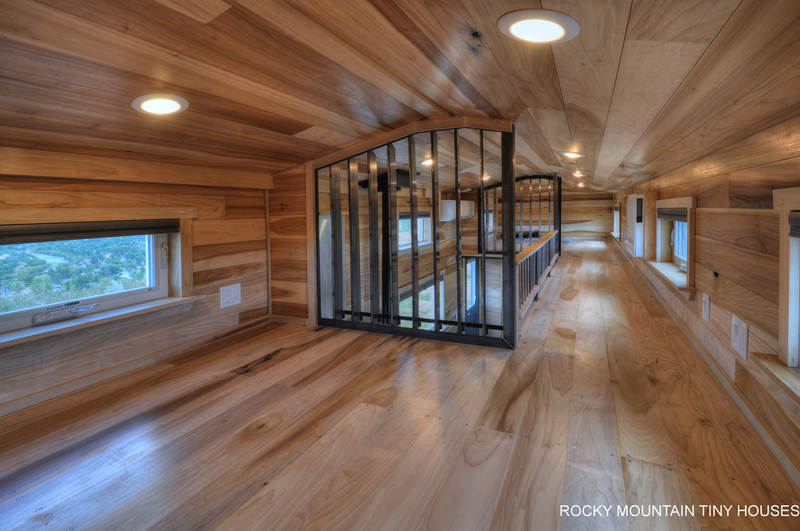 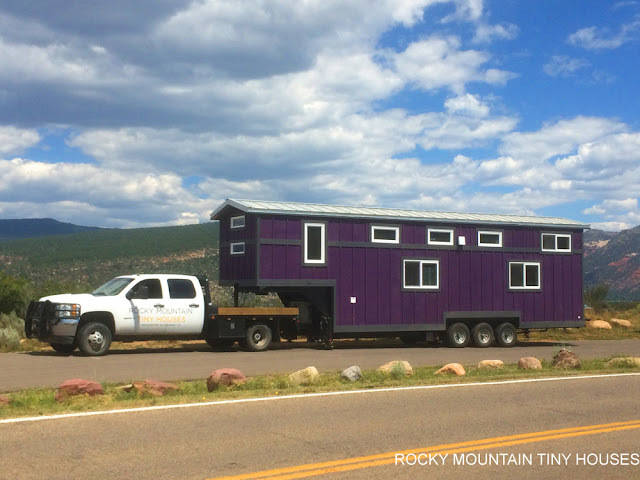 The Pemberley, designed and built by Rocky Mountain Tiny Houses, just may be the company's biggest home to date! 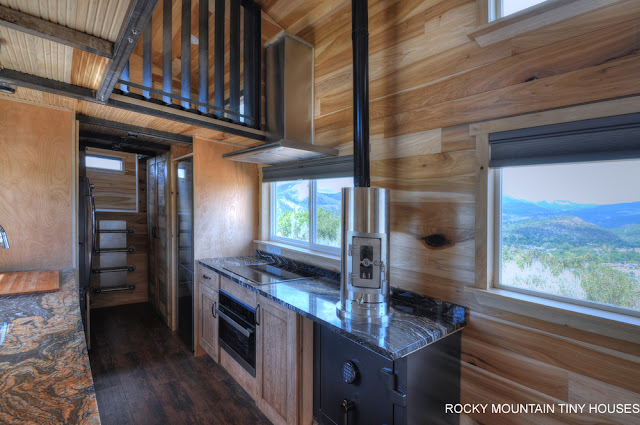 Designed for a family who intends to travel in the home qiute a bit, Rocky Mountain took care to ensure that the home would be ready to handle anything. 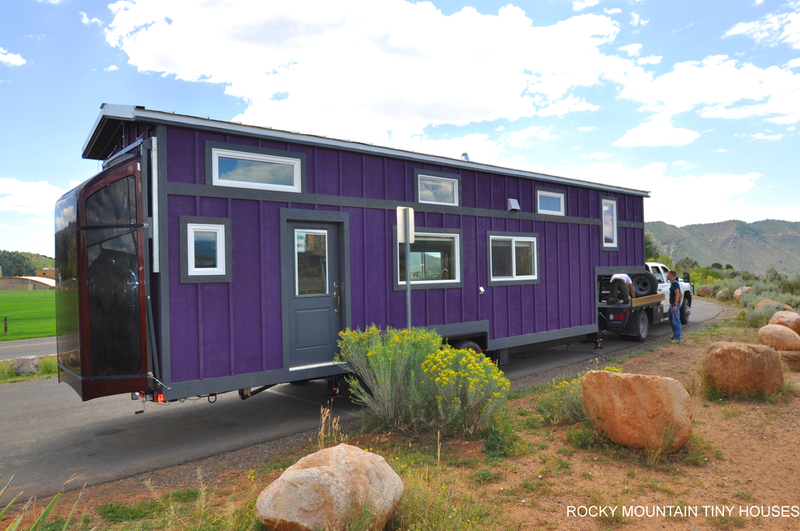 The home is built onto a 37' gooseneck trailer, weighs about 21,00 lbs, and has an interior size total of about 460 sq ft! 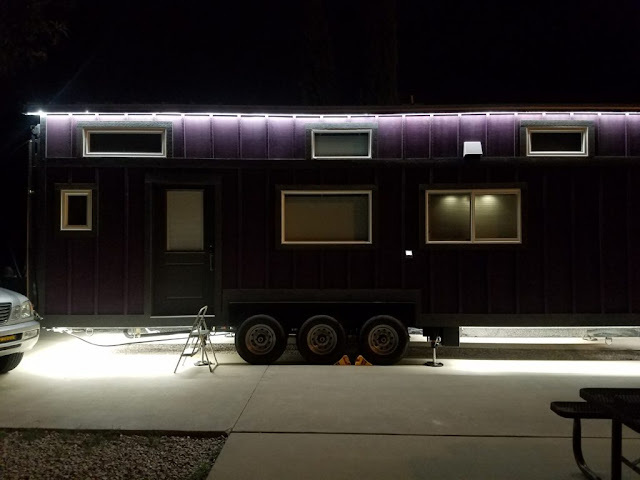 Perhapes one of the coolest features of the home is the Bigfoot 6 point Automatic Leveling System that was installed, which enables the home's owners to unhook the house/trailer from a truck and automatically level the house with the push of a button! 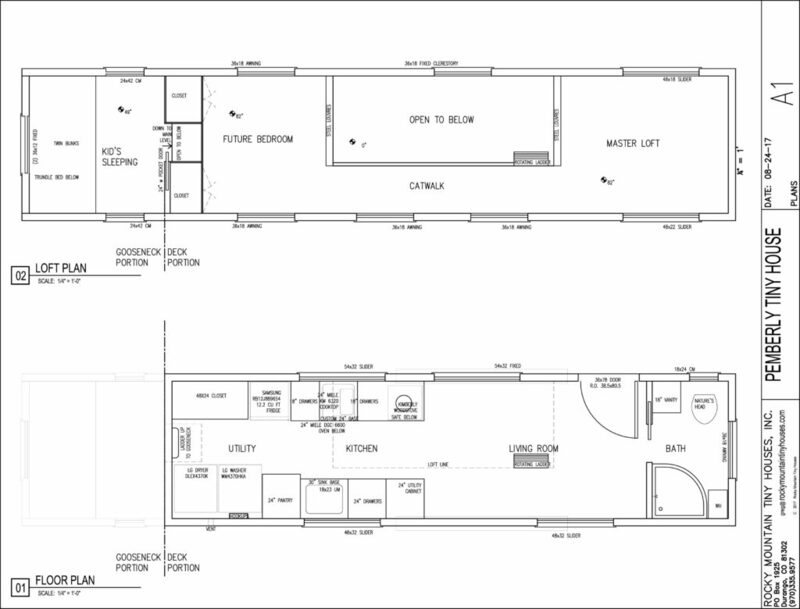 Constructed using SIPs, the Pemberly has a functional layout featuring a spacious living room, full kitchen, a bedroom in the gooseneck, and two loft bedrooms joined by a catwalk. 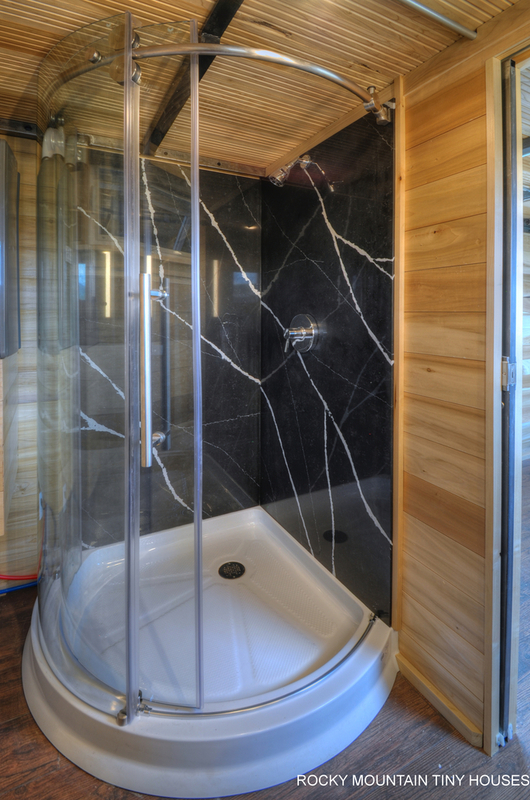 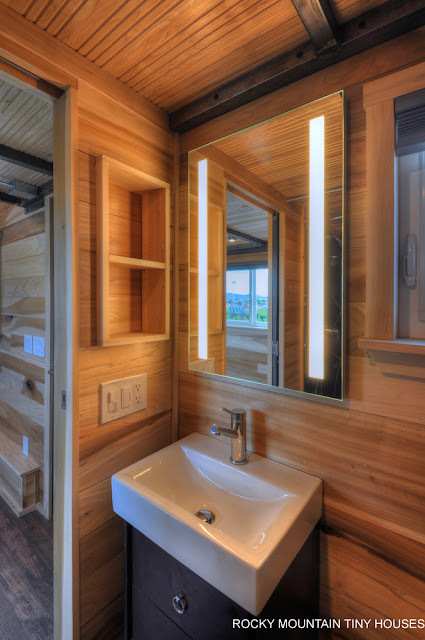 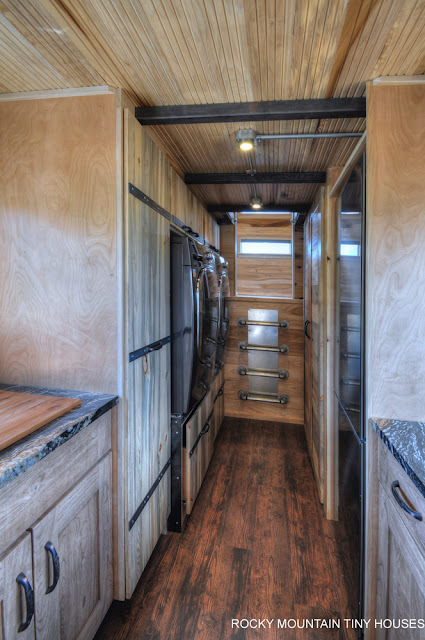 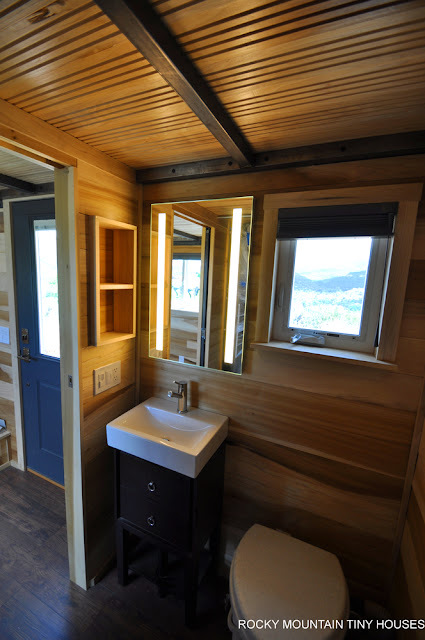 There's also a bathroom which includes a composting toilet, a tankless water heater, and a lit vanity above the sink. 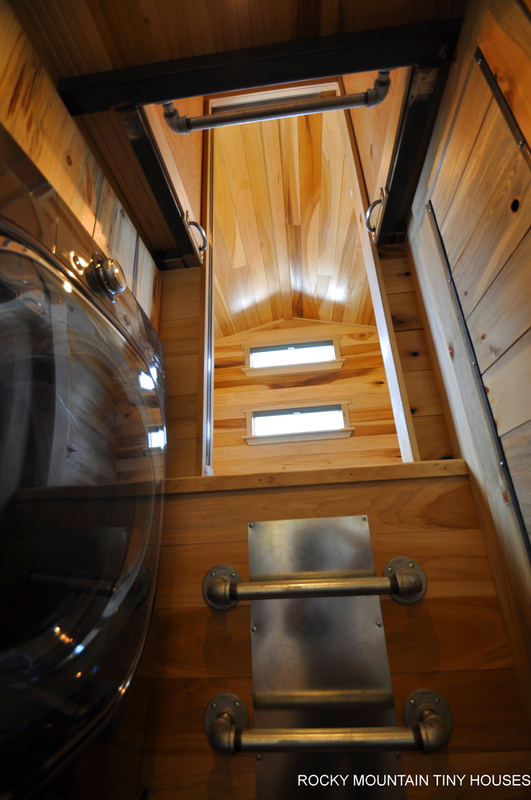 A dehumidifier was also installed to control moisture depending on where the home travels to. The Pemberley's kitchen is as nice as you would find in any home. 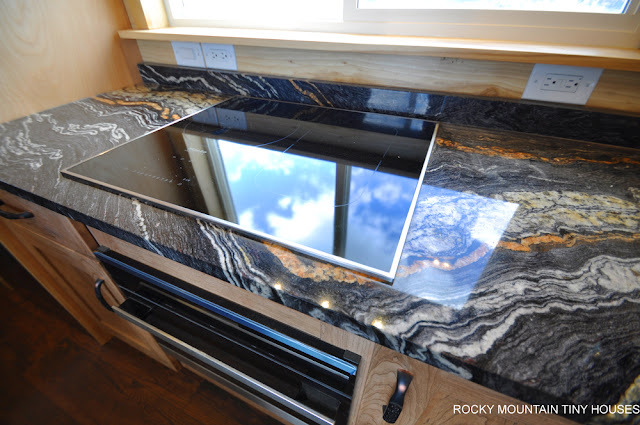 There's beautiful Orinoco granite countertops, custom cherry cabinets, a Miele induction cooktop and range hood, a a Bosch 800 series fridge, and a sink equipped with a garbage disposal! 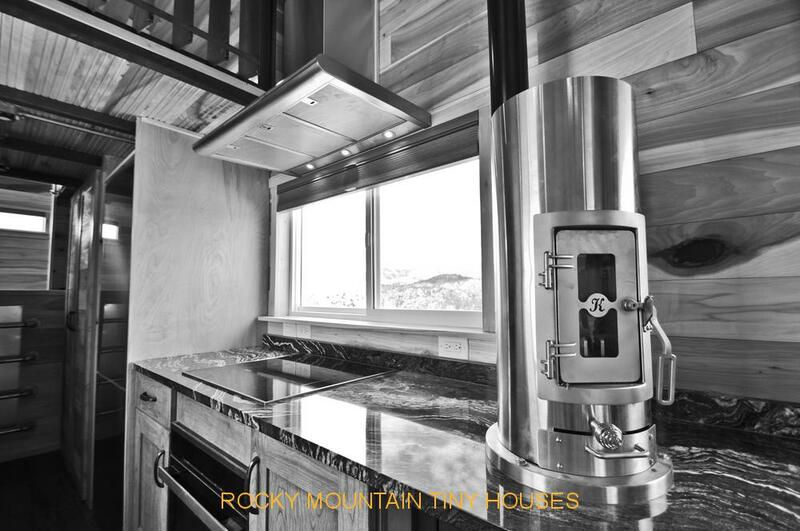 Also installed is a Kraus undermount sink with an InsinkErator hot water dispenser/filtration system which automatically dispenses hot water without having to wait around on a kettle. 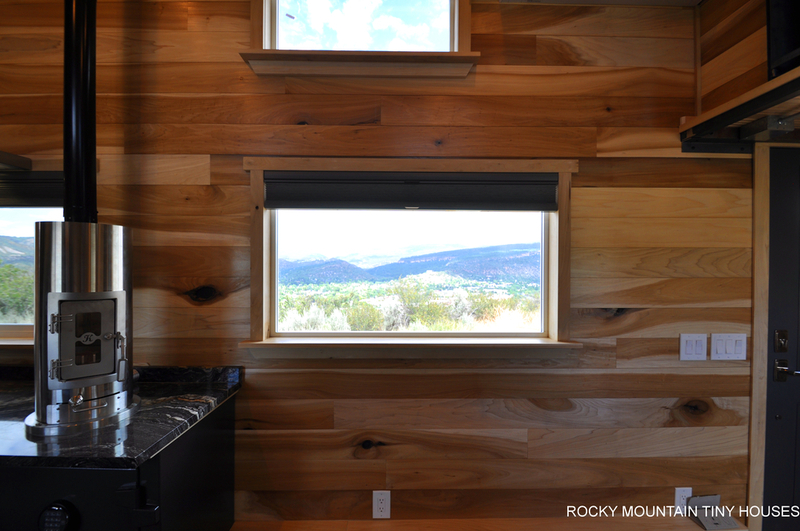 Also added to the home was a Kimberly woodstove, a heavy-duty safe to keep valuables protected, a washer/dryer combination, and beautiful pine T&G flooring throughout the space. 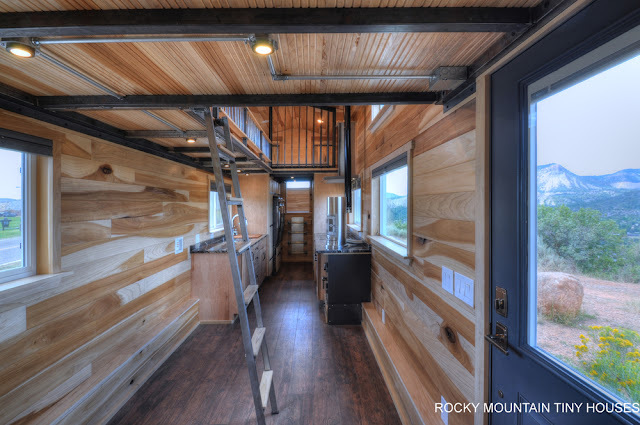 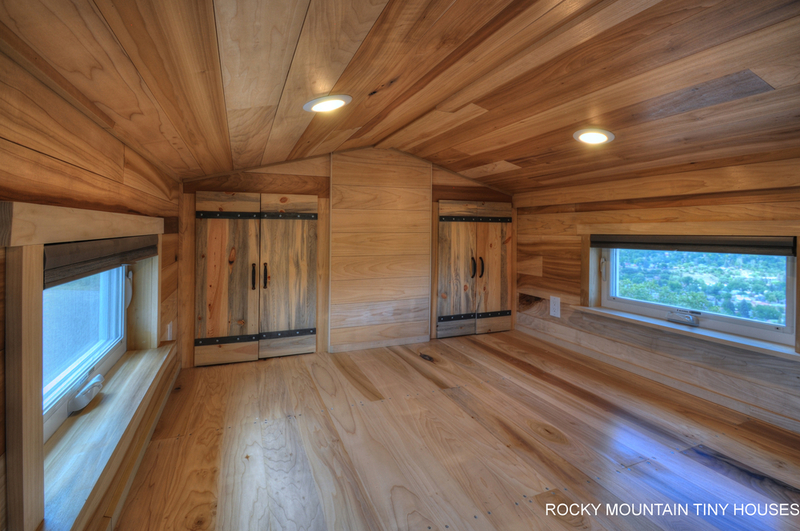 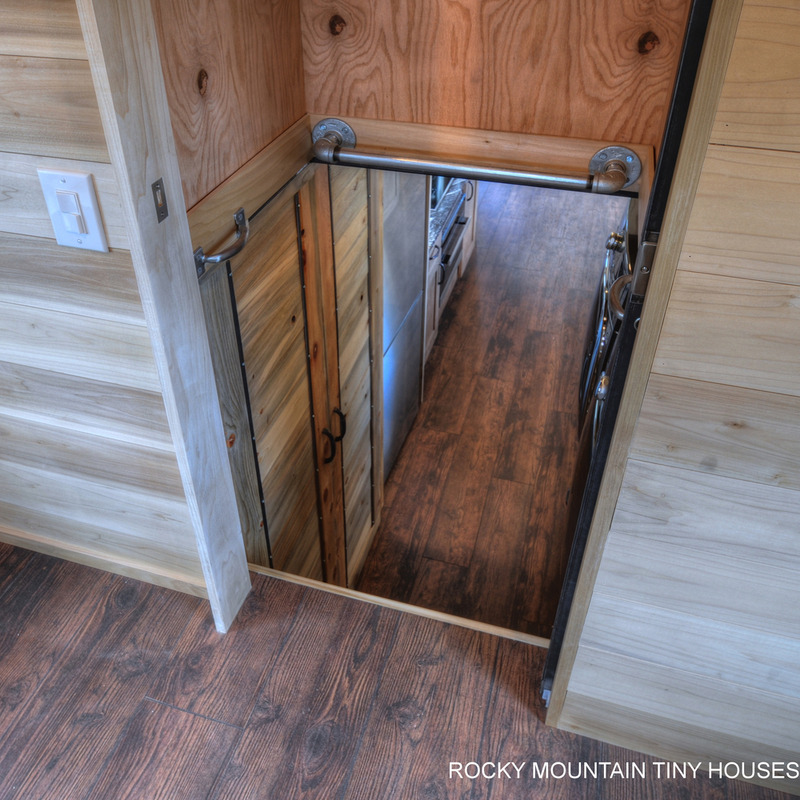 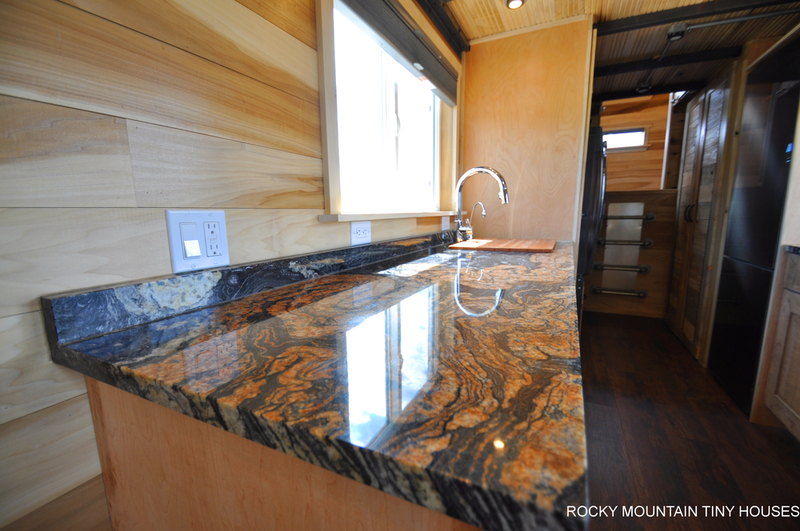 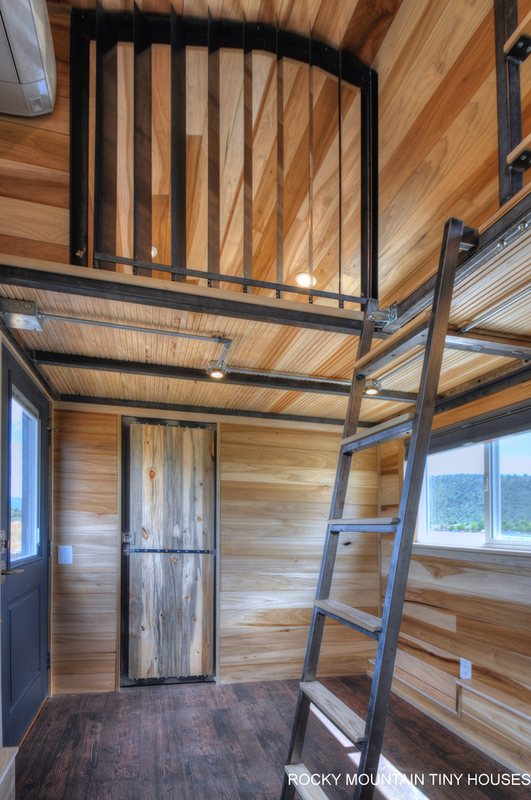 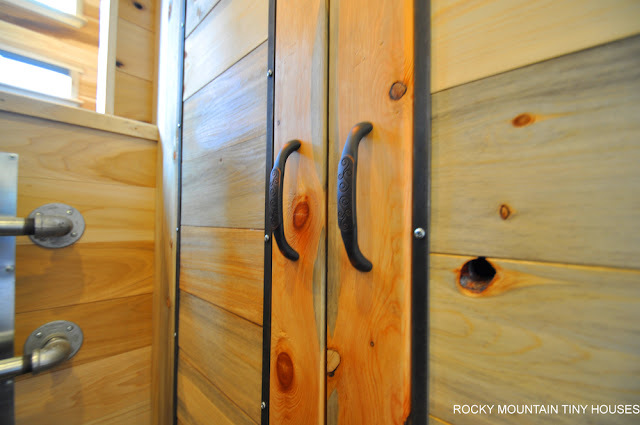 For more info, inquiries, and/or pricing, contact Rocky Mountain Tiny Houses here!